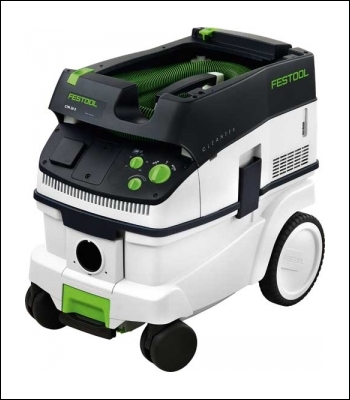 Approved for dust category M. Antistatic function prevents static developing during work. Attachment of Systainers via Sys-Dock. Constantly high suction because of the compact high performance turbine. Hose garage and cable windup for greater tidiness and safety. Economical because of the optimal use of the available volume with a SELFCLEAN filter bag in the container. Integral automatic electronic switch-on/shut-off for extraction from electric power tools. Flexible and clean in the workshop and at the construction site thanks to a compact design and a container volume of 26 litres. For dust with limit values > 0.1 mg/m.